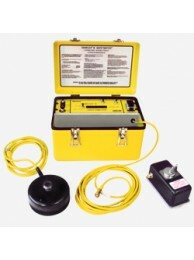 Replacement parts and Accessories for Gemco 1999 Semelex II Safetimeter Test Set. 1999-SEM Meter Only. Does not include autohand, position/velocity transducer or accessories. .. Replacement battery for 1999 Semelex Safetimeter. Lead-Acid, 6 volt. Parts Lead Time: 3-4 We.. Remote Tachometer Set Consists of : Tachometer Assy., Magnet Base, 2” and 1” Drive Wheel Assy., Tach.. Remote Tachometer Assembly for 1999 Semelex® II Safetimeter Parts Lead Time: 3-4 Weeks .. 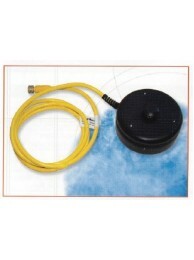 Magnetic Base for Remote Tachometer for 1999 Semelex® II Safetimeter Parts Lead Time: 3-4 We.. Remote Tachometer Drive Cone for 1999 Semelex® II Safetimeter Parts Lead Time: 3-4 Weeks .. Remote Tachometer Coupling for 1999 Semelex® II Safetimeter Parts Lead Time: 3-4 Weeks ..
Drive Wheel Set: 1 - Two Inch Wheel Assembly, 1 - One Inch Wheel Assembly for 1999 Semelex® II Safet..
Two Inch Drive Wheel Assembly for 1999 Semelex® II Safetimeter Parts Lead Time: 3-4 Weeks ..
One Inch Drive Wheel Assembly for 1999 Semelex® II Safetimeter Parts Lead Time: 3-4 Weeks .. 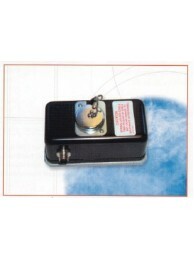 Normally Open (NO) Manual Start Switch for 1999 Semelex® II Safetimeter Parts Lead Time: 3-4..
Position/Velocity Transducer for 1999 Semelex® II Safetimeter Parts Lead Time: 3-4 Weeks ..
Cable Extension Kit for Position Velocity Transducer for 1999 Semelex® II Safetimeter Parts Lead ..
Autohand without Accessories for 1999 Semelex® II Safetimeter Parts Lead Time: 3-4 Weeks ..
Autohand Leg Set for 1999 Semelex® II Safetimeter Parts Lead Time: 3-4 Weeks ..
Autohand Plunger Extension for 1999 Semelex® II Safetimeter Parts Lead Time: 3-4 Weeks ..
Auto Flag for Use on Autohand for 1999 Semelex® II Safetimeter Parts Lead Time: 3-4 Weeks ..